The Ultimate Get Away! 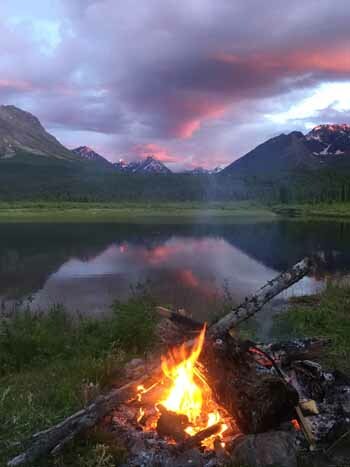 This cabin is set on a five-acre lot within the Wrangell St. Elias National Park. The only cabin on the lake and nothing for 50 miles! You can only access these exclusive waters by floatplane. 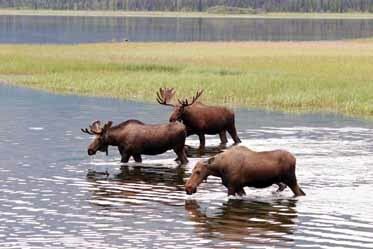 The flight into the cabin travels over some of the most beautiful scenary Alaska has to offer. 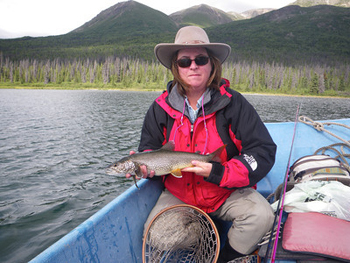 Fish for Artic Grayling and Lake Trout just a few steps from your cabin. 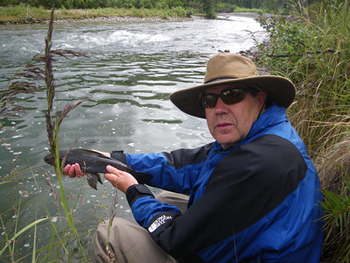 Artic Grayling are spunky fish that are eager to take or fly or lure. Your can actually see the fish hit your lure--fishing does not get better than that! 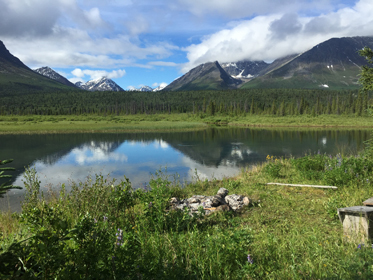 The day is yours--Hike the hills, kayak the lake or fish the streams. Soak in the alpine scenary in complete solitude. 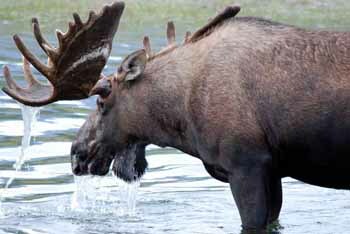 You may spot a moose feeding in the lake or glass Dall Sheep roaming the surrounding 8,000 foot mountain peaks. 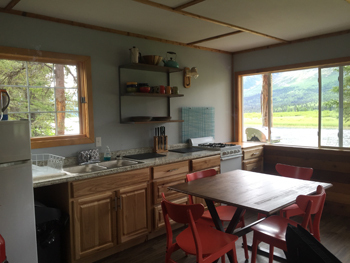 The cabin is two story with two separate bedrooms upstairs and a relaxing kitchen open to a leaving/dining area downstairs. Copyright 2018, AlaskaWilderness.com . All rights reserved.